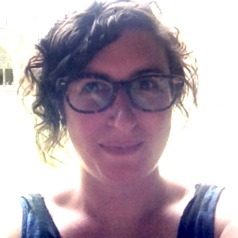 Dr Jordana Silverstein is an ARC postdoctoral research associate in History at the University of Melbourne, working as part of the ARC Laureate Fellowship Project "Child Refugees in Australia and Internationalism: 1920 to the Present". Her book, 'Anxious Histories: Narrating the Holocaust in Jewish Communities at the Beginning of the Twenty First Century' will be published by Berghahn Books (2015), and co-edited book, 'In the Shadows of Memory: the Holocaust and the Third Generation' will be published by Vallentine Mitchell (2015). She is a co-convenor of the Australian Women's History Network.